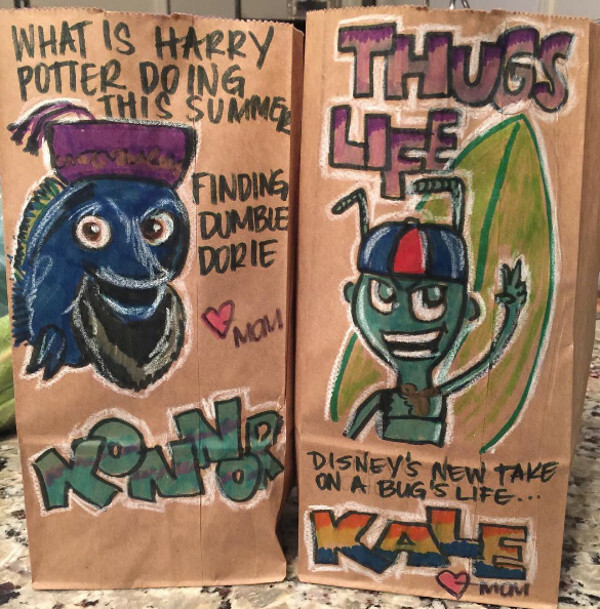 When her boys kept missing the little love notes tucked into their lunch boxes, Canadian mum Jenn Aguilar took things next level, turning their lunch bags into works of art. 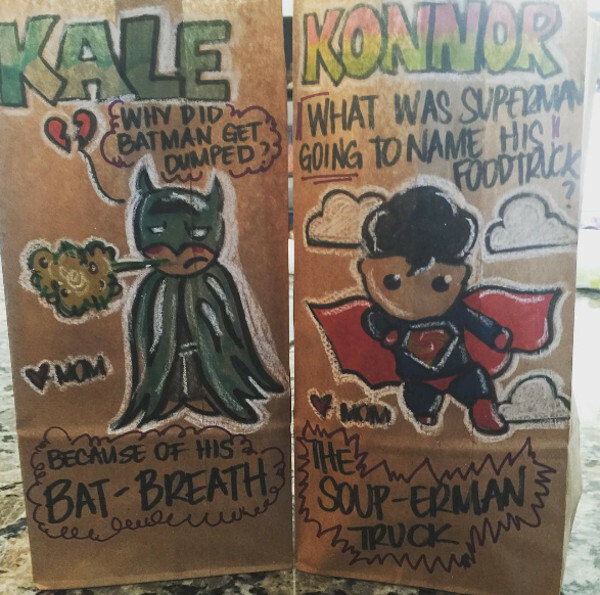 The doting mum to Kale, 14, and Konnor, 12, spends up to 25 minutes each night creating hilarious pun-filled designs on the brown paper bags. She tells BuzzFeed Canada it’s a way for her to express her love and connect with her boys. 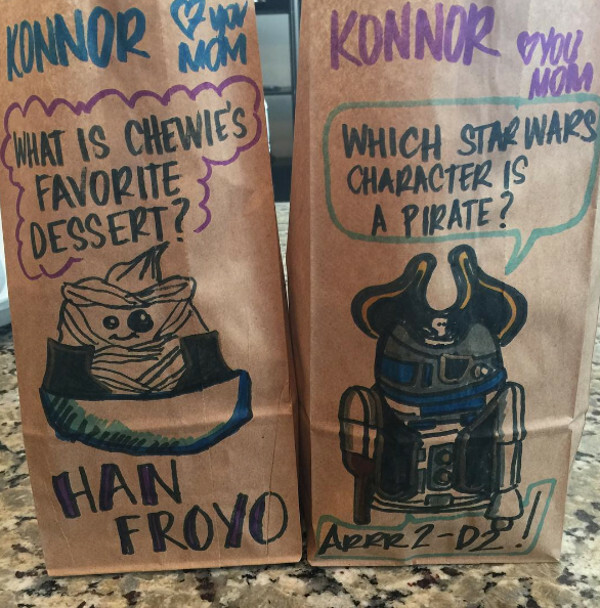 “This is my love language to my boys and it shows that they are special and they mean a lot to me every time they look at it,” she says. 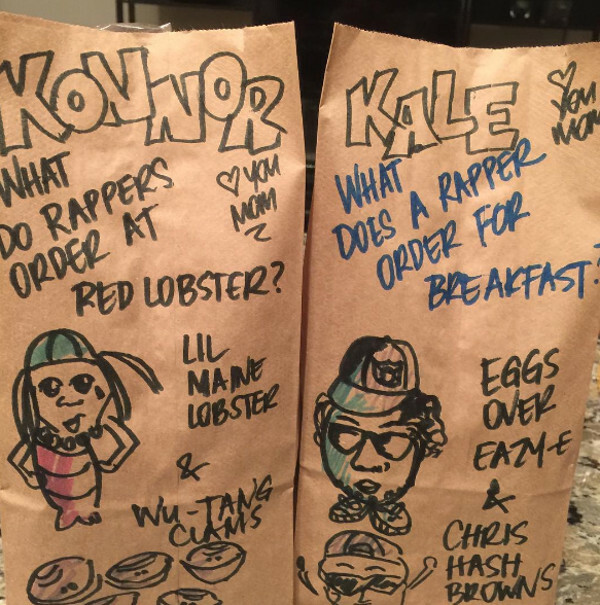 Many of the puns have a hip hop influence to reflect the boys’ interest but some also play on names of foods and reference popular superheroes, animations, and film blockbusters such as Star Wars and Harry Potter. “The boys realised that hip-hop today isn’t what it was and have reverted to the 90s hip-hop I used to listen to, so it’s our bonding thing,” Jenn says. 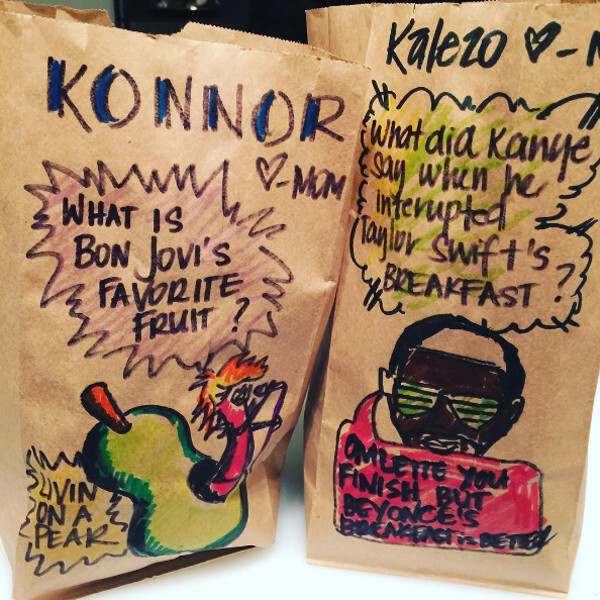 Jenn says the boys were initially a little embarrassed by the lunch bag love declarations. “I stopped doing them for a little bit and they were like, ‘Where are the bags?’” she says. Jenn says she has now promised her boys she won’t stop until they graduate from high school. Check out this time-lapse video posted to Facebook of Jenn in action. 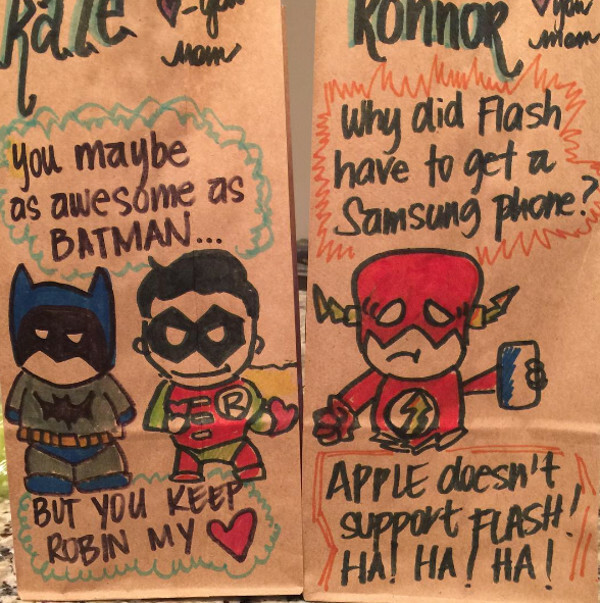 Jenn’s not the only mum getting crafty with lunch time messages. Every day Amelie Clarke goes to school knowing a sweet surprise in the form of a handmade card from mum awaits in her lunch box. And this dad is getting in on the lunch act too.